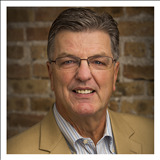 Bill de Jonge, Realtor - Selling a Home - Coldwell Banker Residential Brokerage. Unless you have sold a home recently, you will find that the process has changed significantly. You can't just put up a sign, run some ads and wait for the buyers to show up. Your home is one of your largest assets. Knowing how the process should work will help you maximize the value of that asset and make good decisions. Below is the recommended Two Step Process. What events will influence your planned closing date. Family issues, such as "we need more room". Do you need to sell first before you buy. Initiate the REALTOR selection process. Now is not the time to work with a part-time friend of a friend. Determine the broker's understanding of the local market. Does the REALTOR incorporate the latest tools to market homes? Age of mechanicals - Roof, HVAC, Appliances. List any home improvements and the date completed such as windows and room additions. Identify any condition issues such as seepage or recent repairs. An estimate of the final proceeds at closing. In today's market most buyers want their new home in good to great condition. Finish your to do list. Never go to market with projects still in process. Remember that "Clutter Kills"! Potential buyers want to see how the home fits their needs and not to look at your "Stuff". Update your counters and appliances. Assess major issues such as the roof or HVAC. Plant some flowers, trim the bushes and become friends with WeedBeGone. Remember that all efforts to get ready will have a payback at closing. Know how to show your home. Follow your agent's punch list for showing condition. Open houses are critical expanding the awareness of your listing. Get showing feedback and listen to it. The bank is usually the last hurdle in the closing process. Since 2009 the rules for appraising a house have been tightened. The expectations of the appraiser must be managed. I give every appraiser my selected comps that support the selling price. Understand the process from contract acceptance to closing. Understand the timing of various contingencies. Know when to say "NO" to buyer inspection demands. My goal is to manage your home sale in a stress free manner so that you can concentrate on getting ready for your move to your new home.